Tottenham manager Mauricio Pochettino is not surprised by Jadon Sancho's rise to prominence at Borussia Dortmund. 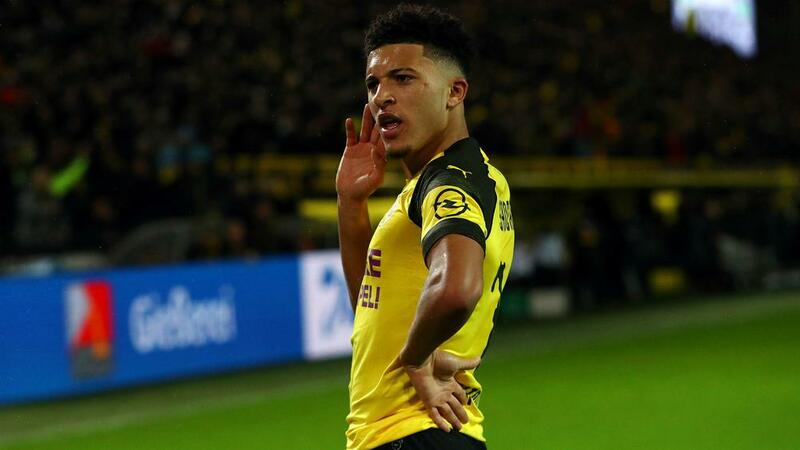 Still just 18, Sancho has set up nine Bundesliga goals and scored seven himself in 21 appearances this season, becoming a key part of Dortmund's attack alongside Paco Alcacer and Marco Reus. "I haven't been so much surprised with him, because I knew what he was capable of doing what he's doing now, with game time," Pochettino told reporters at his pre-match news conference. "We were talking in the last few years that he was a massive prospect to be a very good player. He is showing in Germany that he can handle the Bundesliga and the Champions League." "Champions League for a third year in a row is a bonus," he said. "How we are competing in the Premier League and Champions League, to be in the last 16 is a bonus. "The other day I saw that from the beginning of December that we're the best team in the Premier League and that speaks very highly of the squad. They are giving their best and I am so proud to be in front of this group of players. "I really believe we can win every game we play, but we know this competition is so tough. We are facing a team on the top of the German table. With all respect to the team we're playing, we always believe we can beat anyone. "If you are honest with yourself with what Tottenham are doing in the last few years, I think it's fantastic from the top to the bottom. It's to try to be closer in the future to winning. It will be tough."